In September 2015, the United Nations member states came together to agree 17 Sustainable Development Goals to end poverty, protect the planet and ensure prosperity for people everywhere in the world by 2030. It contains 17 Sustainable Development Goals encompassing 169 targets which are integrated, indivisible and universally applicable. 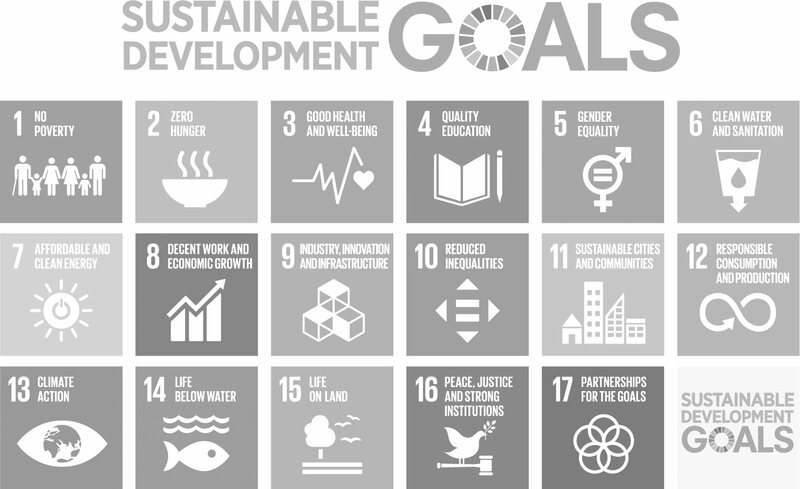 The Global Goals are a roadmap to create the conditions we need to live sustainably and equitably using not only economic markers as coordinates, but also the well-being of our environment and society. The Global Goals aim for a complete transformation of our civilization. They include a commitment to ending hunger and malnutrition, tackling climate change and ensuring sustainable production and consumption. It is the first time the world’s nations have worked together on such a comprehensive vision to sustainably develop and safeguard our planet and humankind. For the Global Goals to succeed, all sectors of society must collaborate to implement them, from individuals, to communities, to governments to industry. Making the goals a reality depends on the active participation of people and communities around the world. People like you. Our planet is running out of natural resources. We consume far more than the planet can provide and we do not use resources responsibly. On this finite planet with a growing population, Goal 12 – to ensure sustainable consumption and production is critical to achieving the most basic conditions of sustainable development. It contains 11 targets tackling how to produce and consume goods more sustainably, from raising awareness of how our life style choices impact the environment and preventing waste by reusing, recycling and recovering. Many aspects of Goal 12 can be implemented right now in our own lives, by changing how we consume and use our clothes. Pass on London's 23% of unworn clothes to TRAID. Book a collection.